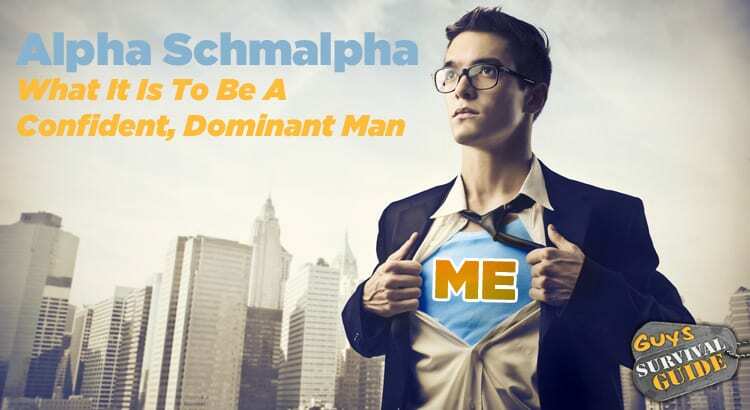 There’s a lot of information out there on dating advice websites and other media sources that tell guys that, to attract women, they must be confident, dominant… the common term now is “Alpha”. However, there seems to be a misunderstanding of what that really means. Guys who are naturally ‘nice guys’ (and thus don’t really know what it is to truly be an alpha male) make attempts to ‘come across’ as confident and dominant, but more often than not they miss the mark. The feigned bravado, the dickish self-centered facade that they put forth is not only disingenuous, but (in my opinion) it’s NOT what is really meant by confidence or dominance. A truly “alpha” male doesn’t have to “prove” who he is to anyone. He simply IS. Confidence is a LACK of INSECURITY. This translates into a natural cool, calm demeanor. This is different from arrogance, which is generally the sign of someone who is overcompensating for their insecurity by treating others with disregard or abuse. There is a sense of being calm and collected, composed and in control of ones self… That imperturbable nature that doesn’t bend and twist to the whims and fancies of others. It is a sense of self, of purpose, and it is generated from the inside out. Dominance is quite different from domineering, yet it’s a distinction that many miss. Dominance means you’re the leader who is in control of situations and people, not by trying to seize control, but by simply walking your path with strength, wisdom, and a clear sense of intention and purpose. It is this place of ‘being’ that causes others to naturally follow… You can’t become a leader by trying to pull people with you… That only makes you at best a needy controlling person, and at worst a tyrant. Remember, domineering means you’re insecure and trying to control another because of that insecurity. Dominance on the other hand doesn’t seek to control… It controls by simply being in a powerful and congruent state.